Has any thought been given to making an application for a lottery grant? Given the current state of the club's finances, and the serviceability issues affecting the fleet, surely, we'd meet many of the qualifying conditions. Hi Dave, I'm not sure we would meet the lottery funding criteria as we are no longer a CASC. Part of my role is/has been advising/co-ordinating Voluntary and Community Sector organisations on funding applications, so I have a little experience in this area. The initial challenge here is that to the best of my knowledge, the club is a company, and most funders won't touch companies. Depending on specific legal structures etc, it could be argued with some funders that the club is a Social Enterprise. However, this will still limit the funding options potentially available. Unless someone has lots of experience of funding applications and managing monitoring requirements, I generally don't advise any org to look at the Lottery in the first instance, as it can be incredibly competitive (sometimes greater than 1:15 chance, although with advice and knowledge, one can reduce those chances considerably), and the monitoring can be a headache. If anyone wants to look at funding applications, I would first suggest that they're clear on what 'project' you want to deliver, what outcomes you want to achieve, and how you want to deliver it. I would then suggest looking at other funders, and then try to match the funder to the project. For example, at the moment, Sport England have just released some funding to Yorkshire Sport. I will need to check the criteria, but this might be worth looking at for the right project. There will be other local funders who may well be more suitable, but again, this will depend on the 'project'. 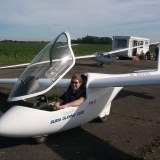 For example, a project to encourage young people to try the sport of gliding by subsidising initial flights or training might be fundable, or improving the opportunity for the disabled to go gliding etc. Pretty much all funding applications ask the same questions: What's the need? What's your project? What outcomes are you hoping to achieve? How much is it going to cost? 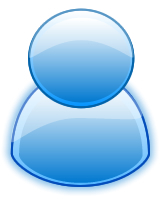 How will you monitor, evaluate, and report back on the project? It's then just a matter of tweaking your responses to the questions being asked and the funding criteria. Most funders have a set budget to distribute in each round, and applicants just need to have a better application than most of the other applicants - they don't need to be perfect, but they do need to demonstrate that they've thought about their project, and have done the basics right. Anyway, I'll stop with the work-mode. Happy to advise etc if someone does have a project in mind.